OnePlus Two latest android smartphone from the OnePlus and officially launched. Here In this post we show you how to boot your OnePlus Two into fastboot mode. Why Fastboot mode and what the purpose of to boot oneplus 2 into Fastboot or bootloader mode. 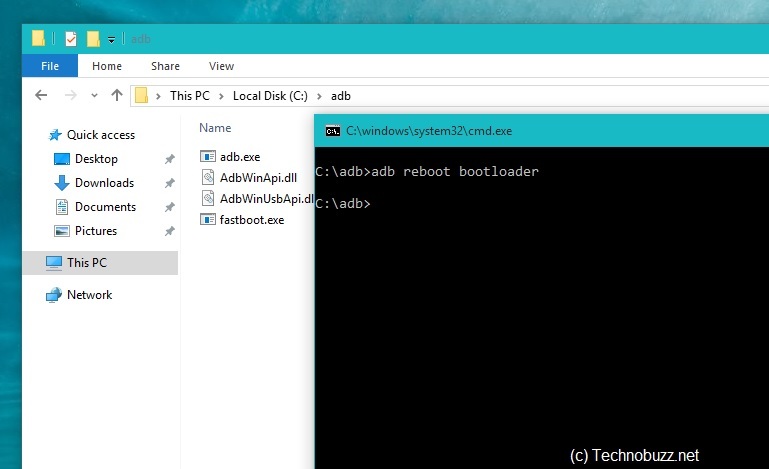 With fastboot mode, you can easily run the ADB commands from your PC and manage the Phone. With Fastboot mode, you can easily lock and unlock the bootloader and install the custom Recovery. If you want to mod your phone and install Custom ROM on your Phone, then you need to unlock the bootloader and flash TWRP or CWM recovery, and this process requires fastboot mode. The process is dead easy and takes few seconds, yes few second to boot any phone into bootloader mode. There are two ways to do this, in one method you can use the phone hardware button and in the other method you need to run ADB commands from your PC. 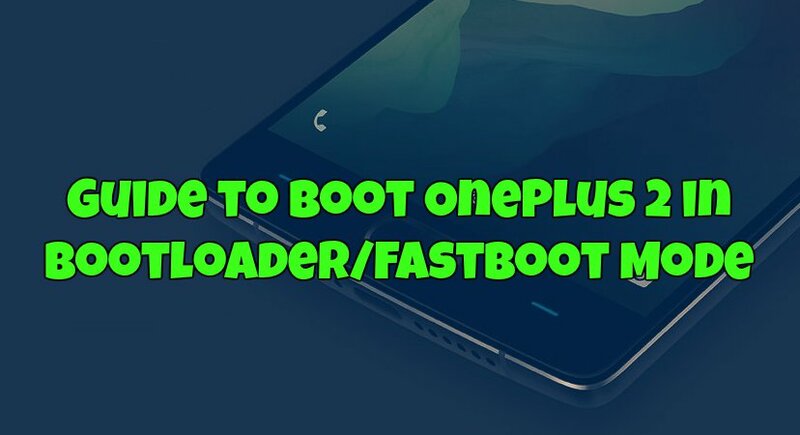 Here in this guide we’ll show you the both methods to reboot OnePlus Two into bootloader or fastboot mode. To do this Switch off your OnePlus 2 and after waiting for 3-4 seconds after screen goes off. Press the Volume Up Button + Power button together until you see anything on the screen. Now your phone is in the fastboot mode. Simple !!!!! Here you have to run some ADB commands from your PC to boot the Oneplus 2 in fastboot mode. To do this you have to setup the ADB and Fastboot drivers on your PC, Read Our Guide here how to install ADB/Fastboot drivers on Oneplus Two. After this, Open the ADB folder on your PC and Open a command window on the ADB folder. Now enable the USB debugging mode on your phone, Go to Settings > About phone, and then tap ‘Build number’ 7 times or until you get the message ‘You’re now a developer!’. Now In the Settings you will see the Developer Options, From here enable ‘USB debugging’ option and Accept warning by tapping on the OK button. Now connect your OnePlus 2 to the PC with USB cable and run the following command on the command prompt window. That’s it. Your OnePlus Two will reboot into fastboot mode. I tried to flash the 2.1.2 OTA using full 2.1.1 ROM and the OTA zip file. I was on 2.1.1 and root. But after flashing the two zip files and SuperSU I saw that the version was still 2.1.1 in About phone. Then (not knowing how things work very well) I flashed 2.1.1 full ROM and updated OTA normally. The update happened through TWRP. After that I don’t have TWRP anymore. Stock recovery only. When I tried to reflash TWRP with fastboot by phone is not being detected as fastboot device. I’ve no idea why this is happening. All my adb drivers and fastboot drivers are the same as they were the first time when I rooted my phone. After selecting language and input keyboard next step is connect to wifi or skip. Phone isnot connecting to any wifi and skip is not enable to go to next page.